City council taxes, hate them! It wasn't an overall good day yesterday. There was that hated envelope in the mailbox with the tax amount to pay to the citycouncil again, a repeating event every year! When you have your own house you'll have to pay a percentage each year about the taxed value of the house and also the tax for garbage recycling and sewerage use tax. I'm sure I haven't used the exact words for it, but I think you'll understand what I mean. And they know how to calculate!!!! Then the dumbo's made the assessment not on only my name but splitted it up in two forms, one for Jan and for for me. Talking about waste of paper etc!!! Now I have to settle that again, and try to arrange a lower amount. I am not sure at all the request will be granted but as we have no income for the moment from work AND we are no bother to the community(not in social service, yes we are blessed with a little money of ourselves, not for long! ), so in fact we are poor souls, perhaps there is a possibility. But I HATE to do jobs like this, dive into regulations of the taxes, which are always sooooo easy, as they say, but when you read them 10 times, you still haven't the exact rules that may apply to you. Then writing the letter, making copies of some forms, waiting for the decision, and probably at the end having to pay the full amount from the beginning. Jan will not do it, he says I'm better in writing letters than he, etc, which may be so, but I almost always have to to these dirty jobs. It spoiles my week-end , well, almost! Better to get it done quickly and we'll see where it ends. Thanks for letting me blow off some steam, I needed that. LOL! And now I will give you the second part of Old Photo Album. I really hope you can do some beautiful layouts with it. Ladies, the weekend is almost there an yes, I am taking the break from the blog again for two days. I still don;t like it deep in my heart, to leave you without a freebie, or list or some rambling from me, but it is good for me for the moment to do so. It gives me some rest and a bit more time for the designing and also to look around on internet for material I could use. So I wish you all a very nice weekend, and hope to "see"you back again on Monday! I will try no to ramble too long! Yesterday I had a funny thing in my email! I just nominated a blog for an award and I got an email from that blo, that she had given me an award too. It was Lynette from http://lynettesphotoart.blogspot.com/. It was an award I already received but not less appreciated! Thanks Lynette, for thinking of me.! It's raining awards this last week, it's hard work to keep up with them and find all the time some other blogs to nominate. Well, today I have an easy job, I will not do the nominees cause I have already done that. What was I up to doing yesterday? Not all too much, I kept a "low profile"!LOL. That's to say, I was very much time at the computer and left the house waiting for a day, only put on the washing machine and hanged the stuff out. And in the afternoon I took a little nap !! and then at easy pace prepared for dinner, and made it so that today we can have another meal of it. Good planning, hey??? Jan has to go to hospital today to have a blood sample taken, cause next Monday we are visiting his doctor again. In all he is doing fine, he has a few questions for her and we hope he can cut back on the medicine a bit. He still isn;t at his "old"condition before this all started, but really good on the way. He certainly got a big physical blow from this! Glad we still were in time at the specialist in the hospital and lucky we have a very nice and good one. Today I have a kit for you in two downloads. So come back tomorrow for the second part. I am very happy with this kit, it turned out nicely and hope you have the same idea! It's a rather versatile kit, but will be great for older pictures. I named it "Old Photo Album". You all have a great day, I will try to finish another kit and perhaps will be able to do something about the daily download for the forum. I know there is plenty of time, but better to have it ready in a folder, don;t you think? It will still take some time before it;s ready, just started with some papers, so you can imagine, I will be busy with it the coming time in between the other stuff. Okay, I'm off now, posting the preview on some forums and then cuddling up at the puter to go on with the kit I started. Enjoy yourselves! Not made a movie, but still have an Oscar! I have a lot to tell and show you, so I better get started right away! "You can get an Award in my Forum as well now. Each month members can nominate other members for a challenge contribution which they think deserves it. Then a poll will be put up and everybody can vote for the best nomination for one week. 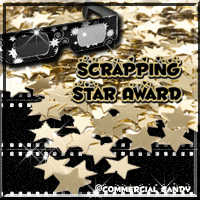 The final Winner will receive this Award , plus a coupon to do free shopping in the Magickal Store." Isn't that wonderful? Above is an example of the award you can get and with the coupon you receive there are real beuty's to collect in the shop. Is that something to considere? I really hope so, the more participating members the merrier we get!! Talking about awards I received a special made award by Snowy! And however I am not in the movie business, I received an Oscar! LOL. 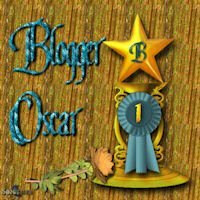 It,s the Blogger Oscar, for blogs on which the owner is generous by giving freebies, entertaining and interesting to read and overall- a blog I would definitely come back to again and again ! 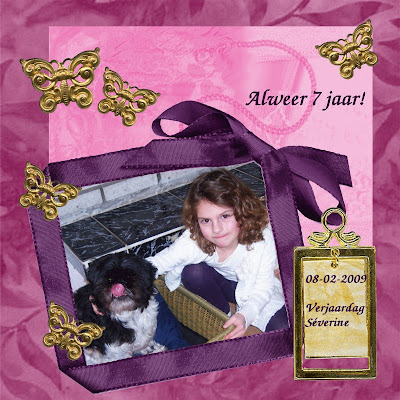 ":Another one who deserves it is Kyra-http://smiekeltje.blogspot.com/ -she does a great job posting freebie lists almost daily(everybody needs a little break from time to time) , is very generous with lots of freebies and very helpful. She jumped in when we needed help with creating a Daily Download kit and enjoyed it so much , she is becoming a "regular" now,lol.Plus obviously a great friend as well ! : "
All the "administration" part is done now, LOL. So we can go on with the normal thingy, the freebie for today. I was playing around with some flower brushes and it resulted in this kit in lilacand named"Wisteria Bloom". I love the Wisteria when it's full in bloom, but it's a vigorous grower in the garden, so I haven't one in mine. But they are so lovely when it's covering a pergola or so. Have fun with the kit, and also have a great day! Read what I am honoured about. As you know, we have every month a daily download for the members. Well, I participated in one, but now the big news: I shall have to pick the theme and colour scheme for the May daily download. It seems still far away, but you'll have to plan these things ahead, so everybody has the time for it. Ooops, now I am brainwaiving for the theme. I have already a few options in mind, but cannot decide yet. I still have time enough before I must post the colours and theme on the forum, so when I do I may inform you what it will be. Then yesterday I could start with a new kit. Once knowing what to do, it advances quit quickly, today I will try to make the last things and I can upload it. It is a very colourful kit. Not much more news to tell. Oh yes, one thing. Every month they have a card playing evening in the cafe and with it a little lotery. Jan and I always buy some tickets for it and Jan goes there to buy them (he isn't playing the cards) and stays talking and I am curious sitting at home, wondering if we had a little price. And yesterday we had! It's not a big thing, but it's all about the fun to win something, isn't it? Jan came home with a little box and in it six little buddha's from stone, painted gold in six different positions. They are CUTE! About 10 cms. high, in fact very kitch, but so sweet. Now finding a place in my filled closets and home to put them on a row. I must think to make a photo of them! I received again two awards. This time from Jaye from http://sparkling-special-designs.blogspot.com/. 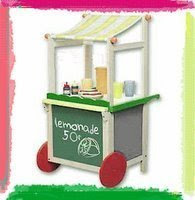 Take a stroll at her blog, you'll see see makes lovely things for you! As I passed these two already to others I will not make nominees now, I hope I'm forgivven. And here is the freebie for today. All different from the last ones, but perhaps you can use it for something,. It's named : Crime Scene"
Have a great day, and I am off to play still a bit on the computer and then first must go out to do some shopping. The ever repeating thing in our lives, LOL! I'm here after a mini break! It seems like ages I didn;t post, but I only didn't for two days! And I really like it, haha. I am having a bit of inspiration back and those two days give me opportunity to devote myself to designing and challenges. Before talking of that first I will show you another award I received, it has no name, but it is a lovely one to see. I got it from Opanasko http://opanasko.blogspot.com/, and it was a bit difficult for me to read about it because it was in Russian. Yes, I do speak a bit of Russian, but not good enough to be able to translate whatever somebody writes. Well there are no rules it seems, so of course you will have to pass it on, but it can be one or several blogs. Just make sure you mention the one you received it from and notifie the nominees. The weekend I was busy making the daily download contribution for April! Yes, you read it well, we are ahead of the schedule. 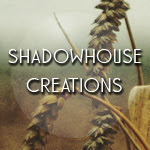 It's a marvellous team over at Magickal Scraps, so eager and so dedicated and we have such a CUTE daily download prepared for members that you really should consider joining!! Then I made another kit and I was happy about all I could do in those two days. It could have been a bit more, but yesterday afternoon, just as Jan installed himself n the couch to take a little nap and I was in the middle of a kit, all nice and quiet the doorbell rang and it was Jan's brother who payed us a visit. Awefully nice, of course, but sometimes.......... well, you know. But we had a nice chat and thats good too. It's about time I am going to the freebie. As the weather is slowly growing a bit better, there is a bit of hope that spring will not be too far away anymore. And that's the kit for today: "Hoping for Spring". Hope you can use it for something, and don't forget to come back for the freebielist. I bet you have missed it over the weekend, LOL. Enjoy your day, and I am curious what kind of kit I will start today, I have no clou yet, but inspiration will come I am sure. I will have a rather short post, because yesterday it was an easy and quiet day, as I promised myself. Yippee, I finished a rather BIG kit,well, for me it's big about 55 MB all together, and even could start another one, completely different! So I was a happy girl, when I shut down the computer yesterday evening. And my day was even better, cause I got again Awards. I really have to think about a special page with all the awards. Hahahaha! the rules are simple, post it on your blog, refer to the blog you received it from and nominate 5-7 or so blogs and let them know about it. This is a Look how cool blog award. 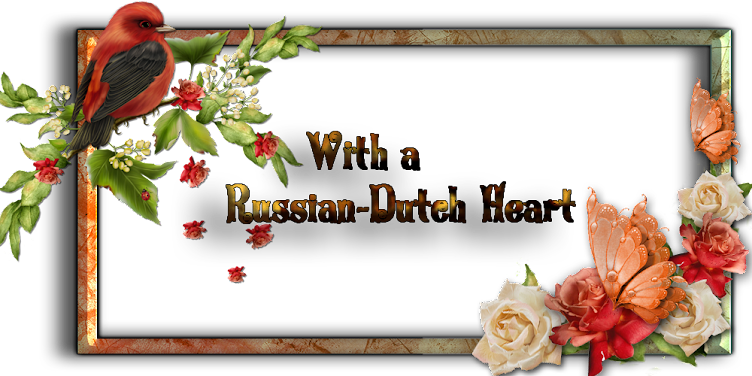 Thanks to ladies who gave me the awards and to you readers, do take a moment to visit the blogs, there are very interesting things to find! Today I give you the second part of "On Waves of Music"kit. Hope you liked it a bit. And yes, I have a little annoucement too: I will take again the break in the week-end. It did me very well, last weekend, so I will try to keep cool and be strong and not post the coming two days. So sorry, but I think I need a bit the tiny holiday for a while. Have all a great and super weekend, and please visit again on Monday, because then I will post again and a freebie will be waiting for you! Gosh, I was a very good girl yesterday, well, I think so of myself. LOL I finally HAD to wash the curtains from the back of the room, they looked awefull! But as they are almost hanging from the ceiling, it's always a bit of struggle to get them donw. You know, getting the ladder out, wriggle it on the right place, to be able to reach the hooks. Okay, I pulled myself together and did all that. I washed them by hand, and wow, the water that came off of it had a very strange, dark colour!! Okay, hanged them out to dripp off a bit in the bathroom and as the ladder was anyway the the room, I walked with it through the room and attached several strings of the little lights we have at the ceiling properly again. So imagine, me, clapping in the ladder to move it for a meter or so, climbing up with some little nails between my lips and the hammer in the hand, tok tok tok, and then hanging the cord with lights on its place. Ladder again clapping in, meter forward, clapping out, climbing it up again etc. Now almost all of the cords are hanging as they should be. After that I had to hoover the room, then the ladder again wriggled in its place to hang up the curtains. (it's a BIG ladder!). So I performed an intensive physical job ysterday. All in place again I was very happy to be able to sit for a while. But I was proud of myself, I pushed it forward for some time, and finally it has been done. Whoopeeeeee. Then I made the freebielist and even had ttime to have a short chat with Edna on msn and started on a new kit. Not by long finished, but it;s a start. I think I take a bit more easy today, I earned it, don;t you think so??? LOL. May be I even get another challenge done today, cause there are still two or three I am struggling with but want to make. We'll see about that! I hope your day will be an easy one too, have some scrapping fun if possible! All the shopping went well and reasonably quick, cat happy, all great. When I came home, of course first putting all to its place, making little packages for the cat, dumped into the freezer etc. Then i did a laundry, watched a bit tv while eating my "lunch", 1/4 of a baguette from the oven with salami and camembert on it(I like it when the camembert melts in the oven, yummie), and went on the computer, hey what else? Finished another kit, so I was happy about that. Then I received an email from the owner of a french site, who told me he made a little article about my blog and freebies, very nice. You can believe it or not, but just the day before I stumbled upon that site! It's an artist, who also has a chapter about scrapbooking and it's a very nice site. Worth to take a look, you can also read all in english, he has two options, the French and English. I have his blinkie in the side bar under Art and Scrapbooking. He changes his articles I think almost every day, but has nice articles about painting and scrapbooking. Let's go to the freebie for today. It's in almost one colour scheme, and it is about ships and water. I thought it was time to do something on the sea, and found some brushes of old ships, http://www.free-brushes.com/ and sea brushes at http://midnightstouch.deviantart.com/ and made this kit of it "Nostalgic Ships". And now I wish you an awesome day, have some fun if possible, a smile is always nice! It was nice to post again yesterday again after the long break(LOL) and we continue again. I am happy that you like the angelic kit yesterday. It was a quiet day yesterday, it seems I am writing that down a lot lately, but I was able to have another kit finished and even made another smaller one. Hey, it helps, a little break, believe me! Oh boy, it wasn't all day quiet yesterday, almost forgot it. We have a dvd with harddisc and it is supposed to be used, hey? Well, we only played dvd on it but recording tv programs we didn;t. We are dummies, Jan and I when it comes to that, specially with the easy and simple (hahahaha) tutorial booklet(almost an encyclopedia) . But yesterday again Jan took courage and started to read it again with remote control in the hand etc. It seems we messed a bit up with the first installation, but still you have to be able to put in the program you want to register by "hand"and so. Not us! And then he comes to me, because he doesn;t understand why it isn;t working, but I am then busy with something else and have to dugg in . Doesn;t help much. And that's the point we are having trouble. Yeah, he bit impatient and stubborn and me the same, that isn;t working very well, can you imagine??? Then I am getting nervous and become a bit bad tempered(bad girl) and that's the end of it. I found some things about it on internet which might help, but he doesnlt read it(yet). In those kind of things we are not going well together, sorry to tell you that but hey, we are not the perfect couple! After a while, all tempers are in normal condition again, and forgotten. But I must find someone, who is more handy in this and who can explain it to us in easy terms and show us how to handle it. It must be a simple things we oversee each time, I am sure. Terrible, we are , sometimes! I'll have to go out with my shopping car today, not for a big tour, but I have to buy some food for Mickey, the lady of my cats. The two brothers are much easier with the food, they easily eat canned food, but mylady isn;t! So I buy her cutted heart that she likes a when I am really in a good mood from time to time a little piece of fresh, raw chicken breast, and sometimes cooked fish. Yes, she is very particular about her food. And a few other things I am in need at the same tour, such as sugar and coffee, and bread. So today not all day at the computer, because I also have to do a laundry, and some other things in the house. I better show you now the freebie for today and than get myself ready. It is a vintage kind of kit, called it"A Special Friendship". It has vintage ladies in it with their horses. I must credit Tash from http://inspyretash-stock.deviantart.com/ for the pictures of the ladies. She has awesome vintage stuff! Okay, let's finish now, have a nice day! And here I am back again! It was a silent weekend on my blog, wasn't it? I even didn't do a freebielist, I restrained myself and it was a good thing to take the two days "off". It something to repeat! Firday evening we had the chat on Magickal Scraps and oh, what a fun we had. We were with a whole bunch together and had a great time, sometimes even discussed some "serious"scrap things, but also a lot of jokes and things for a good laugh. It is supposed to last for an hour but the girls were for about two hours chatting. I didn;t make it quit to the end, because I am the one with the worse time schedule, for me it starts at 23.00 o'clock and I stayed on till about 00.45! Then I had to go to sleep, eyes closing all the time and not able to focus well on the screen anymore! Saturday it was quiet around here, so nice, I did a lot on the computer and I made for fun and as a thanks to Snowy, the engine of Magickal Scraps, an avatar for us girls. You can see it in the sidebar. The text on it reads "I am a Snowraven groupie !!"" . And I made some kits. Yes, you read well, more than one. It was a good thing to take some time "free" it gave me some rest and time to make new things. One of the kits is for today, of course. You were so nice to wait till today, and I hope you are back, of course. I came across some nice things and so and I made the kit "Angelic". Hope you will like what you see, and that you can use it. Thanks for being patient with me, LOL. I think I might have forgotten something to tell you, but if so, tomorrow is another day. Have all a wonderful day and this afternoon there will be another freebielist for you waiting. You will have sometimes the same feeling as I in the moment, I think. We always grumble and complain a bit when too much things happen in our lives, mostly the not so good things, and sometimes a lot can happen in short time. Now lately I have to say that it is quiet around us, apart from some really minor things. It is almost scary, you know. It feels as if there is bound to happen something with a larger impact, don't have a clou what, but strange. I don't like the feeling, and I hope it is not coming true the coming time. Oh well, may it's just the Russian part of me that is playing tricks with me, because it's true that they are sometimes more intuitive and pre-feeling about things. I know, my mother had it, and she was most of the times right! 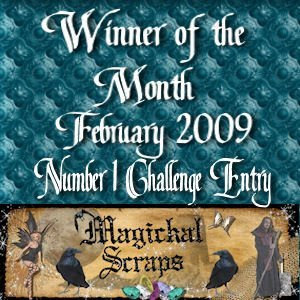 Tonight we will have our monthly chat at Magickal Scraps. I am looking forward to it, because it is always fun. We always get a challenge to do, provided by Snowy, but we never have time to work on it during the chat. We are so busy really like very busy little hens, with talking about all kind of things, that times passes quick, and than it is better to leave the challenge and work on it in the days after. Oh yesterday I did enjoy the day, I was able to spend a lot of time at the computer, and now I am in the middle of a new kit and have already a hintch of an idea for a next one. So perhaps the inspiration is coming back to me. It just might be I shall not be posting in the weekend, well, I will try. But I know myself, I have hard times to keep away from the blog, LOL. But I do want to give myself a bit more of "room"somtimes, so I am planning (but you know how the planning is going with me, hahaha) to give that a try, just sometimes leaving the blog the blog for one or two days. We'll see if I be able to do so. So sorry if you'll have to miss me but it will be only for short times, I promise! Today I have a larger kit for you, I think it is a good one to use your fantasy and imagination with and I so liked making it. Now I just hope you will like it too. It has rather "rich"looking papers in it and you will understand when I give you the title: "Arabian Nights". And the only thing that is left for me to do for the moment is wishing you a very very good weekend, take care of yourselves and let's say till Monday(but you'll never know for sure, so check my blog in the weekend too) Thanks for all your support and kindnedd towards me, that also needed to be said again. I so enjoy all the comments, they really brighten the days! How will I do today?? Goody, yesterday there was the day of shopping together with Jan to fill up the storage for food. We have a supermarket a bit further away, that is really a lot cheaper than the one in the neighbourhood, and with the same quality for most of the things. So we took the tram and the shopping car and came back with a full car and even a plastic bag. And twice we had the nice experience that a guy offered us to help with the shopping car, once getting in the tram back home and once getting off near our house. Wasn't that nice? But don;t you suddenly feel MUCH older too??? Yak! At home I unpacked and put everythings on its place and then also did a speedy hoovering in the house. And then I thought it was good for the day and went on the computer. And my God, did it go bad!!!! I started 3 times with a different kit and after a while I skipped it all, not happy with it at all! I decided to go for some hopping on internet and look around if there was something I could use. And I found some bits and at once an idea crossed my mind and I started with it right away. And now I have done already 12 papers. Don;t know if I will put in more yet, but a start is made finally! I think today will be a staying in the house day, I should do still some little things in the house, well, perhaps I have courage for it. LOL! But I also want to go on with the kit now. Oh I must not forget to make some copies for the tax papers and send them to the accountant. I have received the necessary stuff from the bank and morgage company, so it must be gone. The kit for today is a bit funny one, not so big, but perhaps some of it will be useful. I named it "Cat and Mouse Play"and some of the things I could make thanks to http://grannyart.blogspot.com/. She makes such wonderful things, worth a look around, believe me! Have fun with the kit and have a magnificant day! I was a strong girl, yesterday! Yes, yesterday was kind of a productive day. After finishing the blog, I spent a bit more time on the computer and then I grabbed myself in the collar of my dressing gown, pulled muself up from my chair and first put on some clothes and so. Then I went out in rain and storm to do some minor shopping(but still necessary for that day), came home, took a little break with a coffee and then started the washing machine. During it's work I grabbed all the landry that was waiting for me a long time and went on the ironing. Did that all shuffled it all in the closets and by then the machine did it''s work. So hanged out the new stuff and then thought I did my best for the day. Hahahaha. And could do some things on the computer again. But It was strong of me to finally do something from the housework, hmmmmm?? Today I try to do some other things, waiting for me, and little by little we will get there again. What a great perspective that is, grmmmpppffff! It looks nice outside for the moment. Even a bit of sunshine, but I don;t expect to last too long, they announced more rain/wet snow and wind today and towards the end of the week the nights will be colder again, about 4 degrees below zero and in daytime just a few above. Oh well, we must not complain too much, if we look around the world and see what disaters take place. Today I have a kit for you in one colourscheme, I just felt like it and this was the result: "Old Roses and Lace". It has a kind of nostalgique feeling over it I think. I already finished another kit, which will be perhaps for tomorrow, a bit of funny one and for the Friday I have already a kit for you I like very much myself. That is a larger kit in nice solours. So, I hope I made you a bit curious, tadaaaa! Hope you all have a fine day and till tomorrow for another chit chat. We should really think a little bit about our Australian friends now, with the terrible bush fires and on the other part the enormous floods! All those people being afraid, loosing their home and possesions, and the worst already so many lives lost! You cannot beat nature, but their are supsicions, that some of the fires were delibarately done! Those people are not the good ones, and I say this VERY mildly! From the other side of the world we cannot do much for them, so a little thought and prayer is the least we can do to support them! That was the serious part of the post! Now a happy announcement. I have another award. 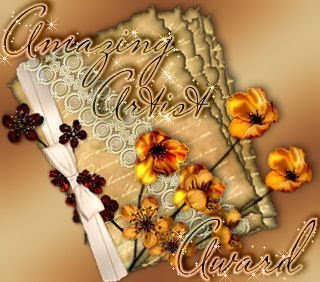 I almost should make an extra page to put all the awards on, LOL!! Do visit her blog she has very nice freebies and some CU also(I snagged some, hahah). I have of course another kit for you. In between I was also working on another one and I have a nice idea for a next one. So you see, I am busy all the time. The kit for today is not a big one, but might be nice to scrap some pictures from holidays or so, certainly you must have some pics of beautiful buildings or so, to go with these papers. Well, it's up to you of course what you do with it, but it was just an idea. I wish you all a splendid day, I have lots to do! No more birthdays in coming time! First I will share the layout I made from a picture I took yesterday of Séverine. As planned we went and I think she was happy with her presents, but she was so busy with all kind of things, that she couldn;t spend much time on it, but if you had seen the table where all here presents were on, wow! She has for months to go! I as precaution didn't give her a hug, and she nodded very understanding when I exlpained, but she gave a big cuddle to Jan instead which made him very happy, LOL. You can click it to have a bigger picture. As we walked home, we were walking in snow! It was a bit of wet snow, so it didn't stay on the ground, but still, it wasn't my kind of weather. Well, birthday over and now there is a bit of time till the next one. Glad all the holidays are done with now and festivities. Sometimes they get too much. So now we can get on with normal days again, first thing I have to do is making some copies for the accountant so he can do our taxes, yakkie. I have it almost all in a big envelope so it should not take long. I didn;t spent much time on the computer yesterday, I can say. I hope to have a bit more time today, I must speed on a bit in the designing bit. It's a never ending story, but I dont mind. Just sometimes a bit of lack of ideas. Oh well, that will come again. And then I hope the weather will become better, at least at a bit of temperature that you could be a bit outside, even well dressed with sweaters etc. to do some gardening work. It's still a sad view when you look outside. 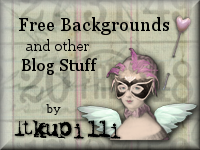 Okay, the freebie for today is named: "Art of Art Nouveau". I think it's a nice kit. Have an aweful good day, and I am sorry I didn't have a freebielist for you yesterday, but you know the reason. There will be one today again.! Séverine has her birthday, hoorray!!!! It will be a very short post, lots to do still and then there is a birthday to celebrate. My best girl friend's daughter, Séverine is having her birthday today and we have to go to visit her and bring her some little presents. I think we shall have to skip the big hug for her today, because still running around with a cold not going away completely yet(very resistant, this one!!) I don;t want to have her the bug! I think the sweet girl will be overloaded with presents, but why not, even if you spoil her. You only have a birthday once a year and when you are very young it is a VERY important day in your life!!! Today I have a little freebie for you, hope you don;t mind. I made a few quickpages out of kits I made in Januaray. May be you can use them. Have a very nice day, I will tell you surely about Séverine's birthday a bit tomorrow. Back in digital world again! You know about the tv problems yesterday. Well, we were patient and gave it till about 15.30 o'clock afternoon and looked again. NOOOOO, still no channels on the digital. Oh boy. Okay, I took courage and phoned again. Surprisingly, I didn;t have to wait too long before getting someone on the phone. Explained it all, the man said he saw on his screen I already phoned them and was surprised it still didn't work. He did some magic again in his computer, in between we had a nice chit-chat and said it should be alright, but I had to give it about two hours again. Then out of despair, I think, Jan went for a short time in the cafe, and at about 17.30 I looked again. Oh no, still nothing!!! I kept quiet and went to the kitchen to prepare food for the cats and so. Then I tried again at about 18.0 o'clock and OH MIRACLE OF TECHNICS, ALL WAS THERE! I was sooooooo releved, you cannot imagine it. I immediately called Jan to give him the good news. 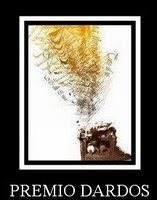 And he almost rushed home from across the street and with big smiles we zapped through all the channels, with all the time exclamations of: Ohhhh, that channel we have too!, or: see, I told you we had this and that too and: isn't it wonderful we have our choice back? Like little children with Christmas, unpacking all the presents! In the afternoon I went out and found some very nice things for Séverine, I think I can make three packages out of it all, and I didn't spend a large sum of money. I tried to find some things with which she can be creative. Toys to play with she has already so much, better to give something she can be busy with, like craft papers, beads, stickers, even a small thing to learn embroidery, a little book(she is starting to read) with also stickers in it, to make it more interesting. Well, I hope she will be happy with it. Today we stay at home, there is speed skating again, World championships, so then you know! It's also a good time to take out the laundry which has to be ironed, while watching the skating. Now you know what I will be doing today, but of course also something on the computer! The freebie today is perhaps a good one to scrap old pictures of the family, it has an old look over it and I named it"Precious Old Paper". Have fun with it. Have a good day, see you again! Some issues to handle and hopeful news. My morning started with taking the telephone and call my internet-telephone-digital tv suplier. Suddenly yesterday evening almost ALL of the channels were disappeared! How come??? I even filled in in time paper with extra channels we wanted to have but nothing! So I called them, I was lucky, not to have to wait a LOOOOONG time before I got somebody on line and explained. I hope it is solved now, it seems you have a try-out period with all the channels they offer and when that period has finished they de-activate your smartcard of the receiver. I gave the numer of it and my extra choices and hopefully in about two hours we will have it all back again. Let's hope it works!!! I must say they were very patient and friendly. What a way to start your day!!! Then I first went a little bit of loghopping and was on Edna's blog. She had a wonderful story that gives hope to all of us. It's about a lady in Mexico, who died at the age of 98, who still sported, YEAH http://missednasplace.blogspot.com/ so you can read about it. It's a wonderful story and surely gives hope to us "youngsters"that life can be great even when you get older and older!!! Now with all that I am late this morning so have to rush a bit. So quickly on to the freebie for today. It's a lovely kit I think, very happy colours and all to do with dreaming and more. I named it ""Fairy Dreamland". Have a wonderful day, keep dreaming, keep believing in fairies and keep in mind the wonderful story about the old lady, then it HAS to be a splendid day! What can I tell you? Not much, because yesterday I just stayed in, and spent time at the computer, but also did some small other things done. Perhaps I will go out this afternoon, otherwise it has to be tomorrow for the present of Séverine. Last Monday she had to practise a special thing on her swimming lesson. If she dared a could manage to go under water and swim through a "hole" she could go up for the next swmming diploma. We all crossed our fingers, because she is having some trouble still with it. But no, she didn't do it. Poor thing, she must have been feeling bad after it, but she will practise on it and then she can try to swim for her diploma in June. So I will try extra hard now to find something nice for her birthday, which will be Sunday. And that's about it for today. But no, I am not forgetting it, of course I have a freebie for you. A kit in some interesting colourscheme (I think) but I worked quit well. I named the kit"Joie de Vivre" and it is a bit vintage looking I am afraid. LOL. Have a fine day and do some scrapping, you hear!! Still having remains of the cold, yak! I am getting tired of it, that aweful cold we both catched. Not rid of it yet! Still there is remaining the irritating cough and the nose isn;t working along either. It's not as bad as it was, but not gone either. Oh, it will be gone some day, but we surely need some warmth and sun definately springtime! I did shopping yesterday and oh boy, I was glad to get home again! As usual I took far too much with me, so the shopping car was a bit overloaded and that is not so bad, but when you have t wlak with all that weight too long, you are going to feel the muscles in your legs and arms. I even had to make two short stops to rest for a minute or two, and that doesn; t happen often. One good thing, today no shopping and even tomorrow not, only I have to go out still this week to buy the present for Séverine. It is kind of hard to find something for a child of seven, you know! They have a bit of different interests from us at that age. Much more into the computer area, like Gameboy and Wii and such things. And that isn't too bad but do you know how much money they ask for the games on that???? Not funny anymore. But she is also happy still with smaller presents and I will look for something to be creative with. She likes doing that kind of thing. I will find some nice things for not too much money I am sure about that. Now the kit for today, named "Good Luck". Hope you like it, it is in for the most of it in tradiotional colours. Have fun and enjoy your day! I was a BAD girl, a bit! Remember I told you I had to do serious housework yesterday?? Well, I did some , rushed through it as fast as I could, still not all done that I planned. Oh, I am such a BAD girl! And why, you could ask. Well, before I went to the working bit, hahahaha, I first check always the Magickal Scraps forum, if anything new is there. And there was, oh boy. Lots of replies on posts and some entries for challenges. And my good friend Edna managed, with all her problems with her computer, to put up her colour challenge contribution before me!!!! We always have a friendly competition, kind of, between Snowy, Edna, and me, who is first in some things. Most of the time it's Snowy, in this challenge too, but now Edna was already there with hers. But what was the effect of it????????? All the time there was a computer calling me, "Hey Kyra, your Renaissance kit is waiting to be finished, come and do it, it's the time for it, because lots of other things have to be done too!!!"" AWEFUL!! All Enda's fault! LOL. So I rushed through the most important things and jumped back at the computer and I did finish the kit. It was not an easy task this time, but I am rather pleased with the result. I will show it to you and so you will know what you will have somwhere in March. You know I always wait a month or more to offer it on the blog, because that is only fair to the contributers of the challenge. And now to the second part of Thinking of You. After posting all this, I will have a tiny bit of time left to go on with another kit I started and then I first have to do some shopping and on doing that I must crack my brains forthe letter challenge from this month. I still have to do the "H". Sometimes it is hard to pick out something for that letter challenge. But it is a fun thing and at the end, it will make a nice album. So ladies, have a nice day, and all of you, who are in far better temperatures than we here, send us a bit of the warmth and sunshine, please????????? Amusing program, if there is nothing else! Definitately today I will have to get some work done, in the house! So no all too long talking now, and just a bit of play on the computer this afternoon. But yesterday evening Jan and I had some amusement from tv. I think you know this program too, or something like it surely, called the X-factor. In short it's about lots of people who want to start a carreer in music and the showbusiness. They are still in the eleminitaion rounds, but oh boy, it's unbelievable what is turning up there! If you have not susch a good mood, you should watch that program to get a smile back on your face! They come with hundreds and hundreds and there are people just doing it for fun I am sure. But not so few really have the belief that they have a real talent and really can sing. And how wrong they are! Watching that sometimes Jan and I look at eachother and say, even we could go there and would be much better than lots of them there! There are really hopeless cases and they are sometimes offended by the words of the jury, when told it is better they stop with their "singing"adventure. Only a handful, sometimes really surprizing, talents are showing up! You couldn;t say it's a program of high quality but amusement factor is high at times! I can understand, that people love to sing, but please, have some selfknowledge and do know a bit what is good or not.! Unbelievable. Well, that was one of the things we watched yesterday evening, cause un Sunday there isn;t much interesting here on tv. Or when there is, it is starting late! During the day, I spent a lot of time searching for material I can use in new kits, specially some brushes. And I did find some nice things. Also I cleaned up a lot of folders, because I am just keeping things for ever and not using them anymore. So that takes only room for nothing. It's a time consuming thing but has to be done sometimes.! And on to the kits for today. It's a kit I splitted in two parts, so tomorrow the other half will be there of "Thinking of You". I hope it is something you like! Now have a nice day, have a bit pity on me, because I am spending some time doing things I am not really enjoying! LOL. Greebielist 1-02-2009 Lot of work for you!! This is a magnificant BLOG TRAIN, called Chocolate Cherry!May be all the downloads for the freebies are not all up, because of the different timezones. But these blogs have lots of other freebies too, so it is worth a visit, and if you don;t have the Chocolate Cherry freebie yet, just try it another day.And as I think you have more than enough to do with thisblogtrain I will just put up some other links for freebiesand tomorrow will follow a "normal"one. 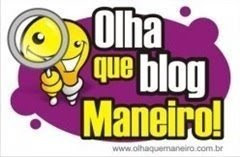 By visiting these blogs here you will come to several other blogtrains thathave started also. 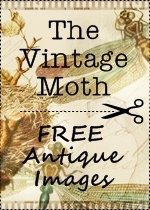 So pay attention, and look out for the links on blogs,some VERY attractive freebies there!!!! A new month, a new bloglayout. Yes, I have a new bloglayout again! I try to change it each month, that is not too often for you I hope. I love the header Cat from Paisleycat Bloglayouts(Link in sidebar) made. Couldn;t figure out what to put in the frame, and came up with one of my cats. Isn;t she sweet??? There is another blog with bloglayouts, and they have permission to use my kits as well, it's simplyblogitbackgrounds.blogspot.com. They did also some nice ones, with my kits. Just have a look. I had a chat on MSN yesterday with Edna, it's still a wonderful thing, the chatting possibility, I think. 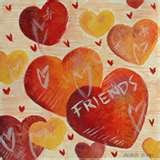 I don;t use it very often, but with some people I like to chat once in a while. I could have spent lots more time on the chat with Edna, but I had to make it rather short, because still some work was waiting for me. I made you a nice kit for today, a bit of funny and certainly cute one! Tomorrow we start with another kit, that will be in two parts to download. Hey, it's a rather big one and I am very pleased about that one. But today's kit is named: "My Honeybear"and is about teddybears. I am a bit nuts about teddies, as you might know, LOL. And I am almost sure, you can use this one well. Then today I want to go on a bit on the colour challenge kit for the forum, the Renaissance one, pooohh!. Not the easiest one to make! And also want to start on a new kit for you, so you see, it will be again a busy day, with perhaps even a bit of ironing in between, and watching a bit tv etc. So have a nice quiet Sunday everybody, with lots of fun!